The one thing I didn’t dare go near once I’d gained weight was anything tight fitting, especially if it showed VBO (visible belly outline). However a few months ago I spotted this beautiful dress in the Primark sale, I love the texture of it and the cut. It has my absolute favourite neckline, and it’s length is perfect for my short little legs. I feel wonderful in it, and am very glad I took a risk and defied the supposed rules. I don’t want to be relegated to oversized baggy clothes as some kind of punishment for daring to exist outside of a narrow definition of beauty. 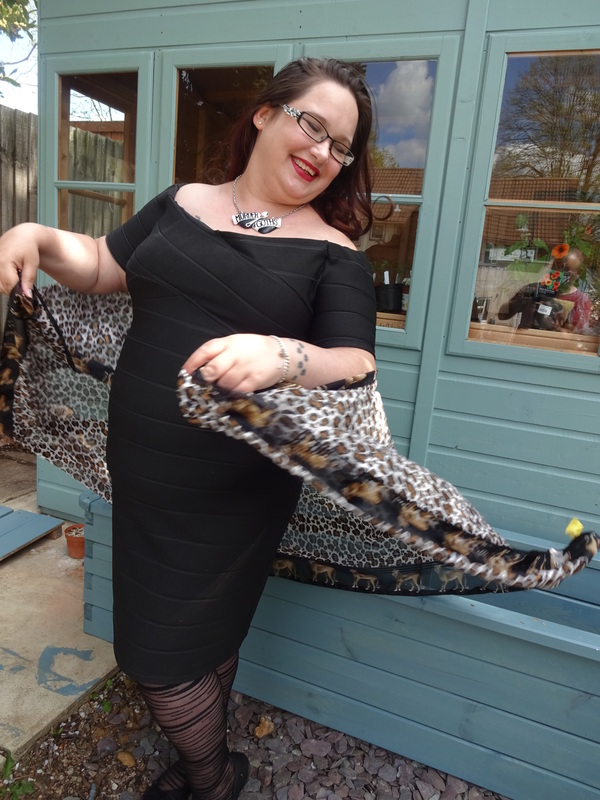 Now you’ve seen me looking fabulous, time to go see some other amazing bloggers, go on now..
And when you’re done with them, why not join us on Twitter and Instagram with #WeAreTheThey and break some rules yourself? Gorgeous! You make that dress look amazing! I love the off the shoulder look on you, it’s very elegant. That dress is gorgeous and you look amazing 🙂 Thanks for the mention! Looks amazing and loving the red lippy too.